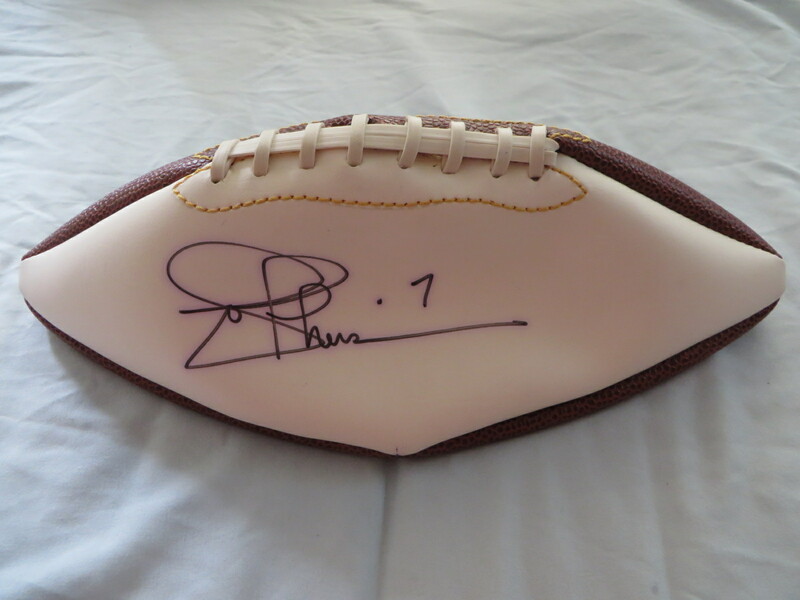 Full size white panel football (deflated for shipping purposes) autographed in black marker by Super Bowl winning quarterback Joe Theismann. NOTE: due to age, the football may not stay fully inflated. Obtained in person, with certificate of authenticity from AutographsForSale.com. ONLY ONE AVAILABLE FOR SALE.